Outdoor Fitness is Britain's only magazine dedicated to helping you get fit and train for amazing challenges and events. Buy a single copy or subscription to Outdoor Fitness magazine. All in the great outdoors. Each issue is packed with expert advice on how to get in shape and stay fit, alongside inspirational adventures. So whether you want to run a first 10K or take on a desert marathon, try a triathlon or ride 100 miles, climb a Munro or row the Atlantic, we'll be with you every step and pedal stroke of the way. The philosophy? "Life shouldn't be a journey to the grave in which you arrive in a well-preserved body. Rather, you should skid there sideways, body thoroughly used up, totally worn out and screaming 'woo-hoo, what a ride." 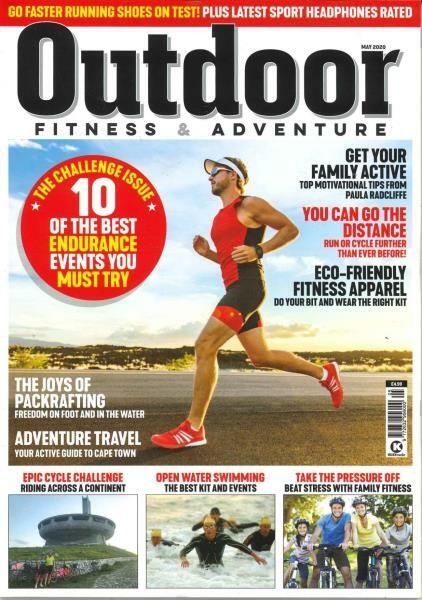 Subscribe to Outdoor Fitness with Unique Magazines today or buy a single issue to see why it is the popular choice in Britain and abroad. Monthly content includes training advice, race listings, profiles of the runners and various gear testing. Even if you are new in this field, the magazine updates and trains you right from the beginning. Subscribe to Running Fitness today.